Urgent Openings for Sr Java, Java Developer | CES Walkin Drive on 11th to 12th January 2018 | Chennai, Hyderabad. CES plans to recruit any graduate with relevant work experience in java can attend the CES Walkin Interview for the post of Java Developer. CES Careers is conducting mega walkin drive for Software Developers. Grab the great opportunity to kick start your career with CES. Only the candidates who possess 5 to 10 years of experience in java with an awareness of modern core concepts, methodologies are invited to walk for CES Job Openings in Chennai. Before you apply for CES Java Developer Vacancies, refer the job profile that includes eligibility criteria, job description, and other important details, etc.. clearly given below. Salary INR 7,00,000 – 17,00,000 P.A. CES Walkin for Experienced on 11th & 12th January 2018 for Java Developer positions at Chennai & Hyderabad Location. Urgent Openings at CES. Immediate joining is required. People who have grabbed this opportunity will receive a mind-blowing salary package with other allowance. CES provides a great and friendly working environment. Candidates who are interested to apply for CES Walkin Jobs must follow the entire article for more details. Along with that check the CES Interview Questions which is useful for attending the Interview. Our blog All India Jobs will provide daily job alerts for free. People who are looking for a job change or freshly updated IT jobs can refer this blog. Today’s article will purely provide a complete information about CES Walkin Drive and preparation tips, Placement Papers which are required at the time of practice. Candidates interested to walk for CES Walkin Drive are advised to have a glance look over at Test Patterns. This will provide a brief info about the topics, questions asked at the time of recruiting the candidates. Employment Type: Full Time, Permanent Jobs. Pick up and drop facilities. Work with architects and product managers to create elegant, understandable designs for new features. Ensure that the software meets and/or exceeds security, uptime, and stability goals. Solve challenging problems across the software development lifecycle be they technical, process or interpersonal. Provide leadership and mentorship to the team and promote an open, learning culture. Maintain a bulletproof development and deployment toolchain. Create technical documentation and contribute content to user-friendly manuals. Experience in developing large, robust Java web applications. Developing and optimizing JPA or Hibernate ORM. Expertise in object-oriented development utilizing GoF design patterns and best practices. Develop and maintain the RESTful web services. Develop large Angular JS front ends, Kendo UI experience a plus. Front-end toolchains such as Bower, npm, grunt, gulp, etc. Expertise developing SQL with MySQL, experience with Percona XtraDB Cluster or AWS RDS/Aurora a plus. Knowledge of Modern Java frameworks such as Spring or Play Framework. IVR and/or Twilio experience a plus. Experience in developing unit tests for the front end. Back-end tools like JUnit, TestNG, Mocha, Jasmine, etc. Experience developing tests with Selenium/Webdriver a plus. Agile – Scrum or Kanban. CI/CD using tools such as Jenkins, GoCD, or Bamboo. Batch file and other scripting languages helpful. Experience in maintaining and enhancing legacy systems. Strong debugging and data spelunking skills. Ant and Gradle build systems experience helpful. 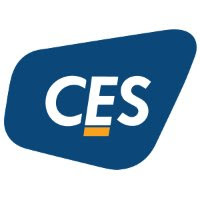 CES is a Chicago based Information Technology (IT) and Business Process Management (BPM) company. CES Limited will provide services that are tailor-made to each customer. CES is an CMMI Level 3 with a roadmap to achieve Level 5. The company owns the total head count crossing 1300+ employees globally. How To Apply For CES Job Openings in Chennai??? CES Walkin Interview for the positions of Sr Java or Java Developer for Chennai & Hyderabad location. Any Graduate with relevant experience can attend the Walkin Interview for Software Developer Jobs. Grab the great opportunity for a good career change. Attend the Walkin Drive at Chennai and Hyderabad within the specified time limit. Walkin Date: 11th & 12th January 2018. Hard Copies of an updated resume. Experience Letters, Pay Slips, Relieving Letters from the previous company.